Is it true that you are what you eat? Well, have some bacteria then and get happy. Actually it’s much more complex than that. New research from the University Of Virginia School Of Medicine has shown that depressive symptoms and behaviours in mice were reversed when the mice were given food containing lactobacillus, which is a probiotic bacteria found in yogurt that is made with live cultures. The research was even able to uncover the specific process for how these probiotics impacted mood. Finding a link that makes such a close connection between the gut microbiome and mental health is a major step forward in learning more about depression and how it can be treated. So what exactly is the “gut microbiome?” It’s the living bacteria inside the intestinal tract that is responsible for, among other things, keeping the body in balance. It’s a popular target of researchers looking into all kinds of illnesses. Connecting it to mental illness or other neurological conditions has been difficult however. 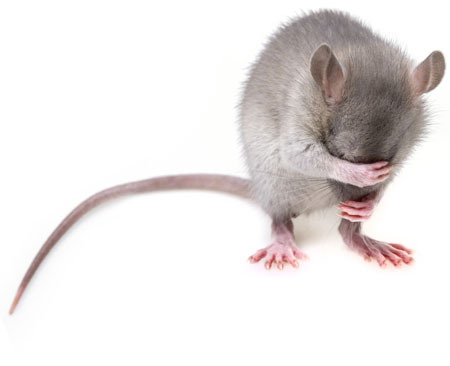 Since the mouse model is used in research because of its similarity to humans, Galtier’s team looked at mice that were subjected to stress since stress can cause depression. Of course in mice, it was more about observing how they acted and looking for “depressive like behaviors” and “despair behavior” since there is obviously no other way to judge mood in animals. The research at UVA took it a step further and also investigated how exactly this mechanism of lactobacillus fluctuation worked. Their study revealed that amounts of Lactobacillus in the gut will impact levels of a metabolite in the blood called kynurenine which is known to fuel depression. When lactobacillus went down, kynurenine went up and the despair behaviors of the mice began. The team hopes that they can translate these results in humans. Graduate student Ioana Marin, a researcher on the study said, “There has been some work in humans and quite a bit in animal models talking about how this metabolite, kynurenine, can influence behavior. It’s something produced with inflammation that we know is connected with depression. But the question still remains: How? How does this molecule affect the brain? What are the processes?